With climbing prices and supply swallowed up, Power Brokers are determined to keep momentum strong. 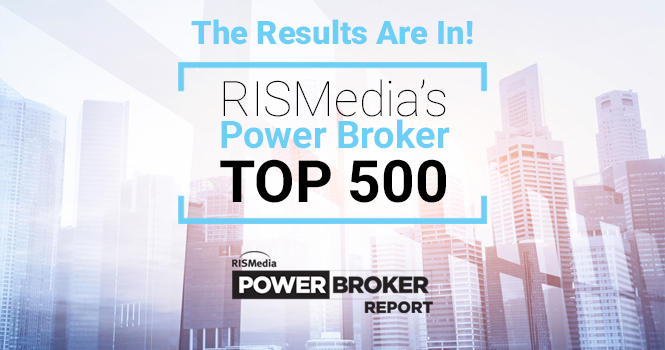 According to RISMedia’s 30th Anniversary Power Broker Report & Survey, 71 percent of Power Brokers are grappling with inadequate inventory, but more than half are forging ahead—growing, expanding and reinvesting their resources. In fact, 53 percent of Power Brokers are creating and/or increasing office space (mixed-used and/or virtual) this year, and 51 percent are acquiring and/or opening offices. Additionally, the majority of Power Brokers are investing in marketing, recruitment, technology, and training, with recruiting the most popular. We’ve added ISAs (internal sales agents) in order to increase conversion rates. The ISAs work hard to help our agents organize the massive amount of leads we attract. This helps us capture more of those leads and improve conversion. – Marti Hampton, Broker/Owner, RE/MAX One Realty, Raleigh, N.C.
At Pacific Union, we’re deep into evaluating the infrastructure and processes of our service delivery. Our professionals and clients deserve the best process, without constraints and with full transparency. – Mark McLaughlin, CEO, Pacific Union International, San Francisco, Calif.
We’re focused on growing the company organically and through acquisitions to get a quantum leap in local marketshare. We’re reaching out to struggling owners of other brokerages to see if they’re interested in being acquired, and some of these brokers are approaching us. – Rei Mesa, President, Berkshire Hathaway HomeServices Florida Realty, Sunrise, Fla.
We’ve ratcheted up our agent training and are focused on helping agents become better at guiding clients through a transaction. In the past, we’ve neglected skills training in favor of lead generation, but we’ve reversed that emphasis. – Joe Rand, Managing Partner, Better Homes and Gardens Real Estate Rand Realty, Nanuet, N.Y.
We’ve adopted a new approach to training, as well as new marketing programs and technology. We’ve added experiential training [similar to role-playing]. It takes twice the amount of time and cost, but the adoption rate skyrockets when an agent actually does the activities. – Lennox Scott, Chairman & CEO, John L. Scott Real Estate, Seattle, Wash.
We have a new app. We’ve also hired two new trainers on a full-time faculty of five tech people who can train agents on all of our technology and keep their pulse on which real estate tech we should follow. ­­– Tipper Williams, Operating Principal, Keller Williams Virginia Realty Alliance Group, Richmond, Va.